This course is designed for teachers from all educational levels & sectors who consider themselves as beginners and/or pre-intermediate as far as ICT skills and/or integration of technology in education are concerned. In this course participants will learn about tools and methodologies to increase and enhance the level of interaction in the classroom. 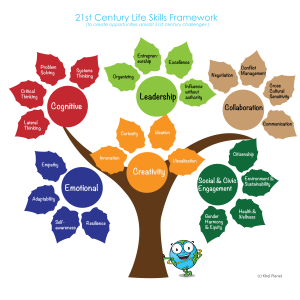 The course addresses topics relevant for the development of 21st century skills such as student dialogue and collaboration, creativity, problem solving and digital literacy. Experiment with different software to increase student (tele)collaboration. Exploit the advantages of touch screens and electronic whiteboards to support interaction and dialogue in the classroom. The course combines short introductions in the form of brief plenaries on the methodological topics of the day followed by presentations of related online applications, Web 2.0 tools, materials or activities. Then the practical work is done individually or in small groups depending on the needs and educational levels. Finally, the outcomes are shared and discussed.